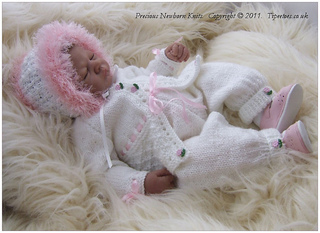 A pretty outfit that would work great as a home-coming gift for a baby girl. 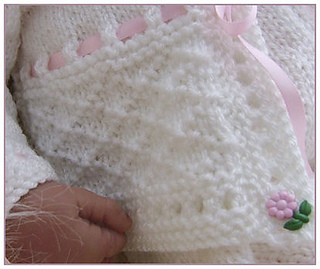 The design uses an easy to knit lattice stitch alongside simple stocking stitch. To fit a baby size 0-3 Months. Long trousers have turn back cuffs and an elasticated waist.